This beautiful townhome has a great room and dining room which opens to the kitchen. Sliding doors open to the screened patio to relax on. There is a half bath downstairs and 2 bedroom suites each with a private bath and lots of closet space. All appliances are included. Amenities include a community pool, playground and volleyball for your enjoyment. 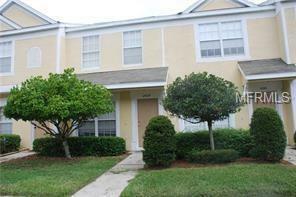 Easy access to I-75, the Selmon Expressway and the Westfield shopping mall. Lots of restaurants and great schools nearby.